The National Sales Executive contributes to the company’s success by supervising the sales team and building a long-term relationship with clients at the national level. Even though the job description of these executives may differ based on the type of industry and employer, the following are some of the core common duties – developing and implementing sales strategies, leading nationwide sales team, negotiating and closing contracts, monitoring performance metrics at national level, performing research and generating new customers, liaising with marketing and development department, and ensuring that the sales teams are on board. 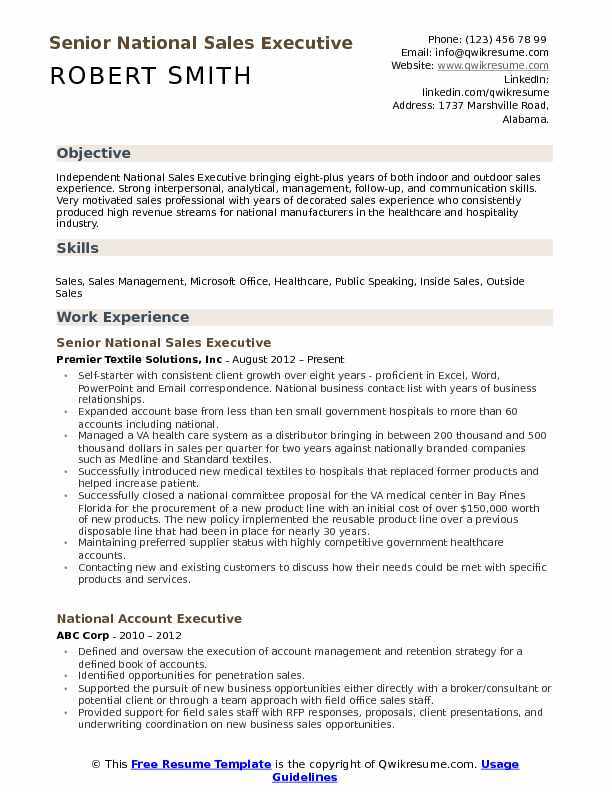 Typical qualifications expected to be seen on the National Sales Executive Resume include – proven work experience, knowledge of MS Office suite CRM software, customer-service attitude, excellent negotiation attitude, the ability to travel frequently, and a deep understanding of analyzing sales performance metrics. National sales executives have a background in sales, business administration or the equivalent. 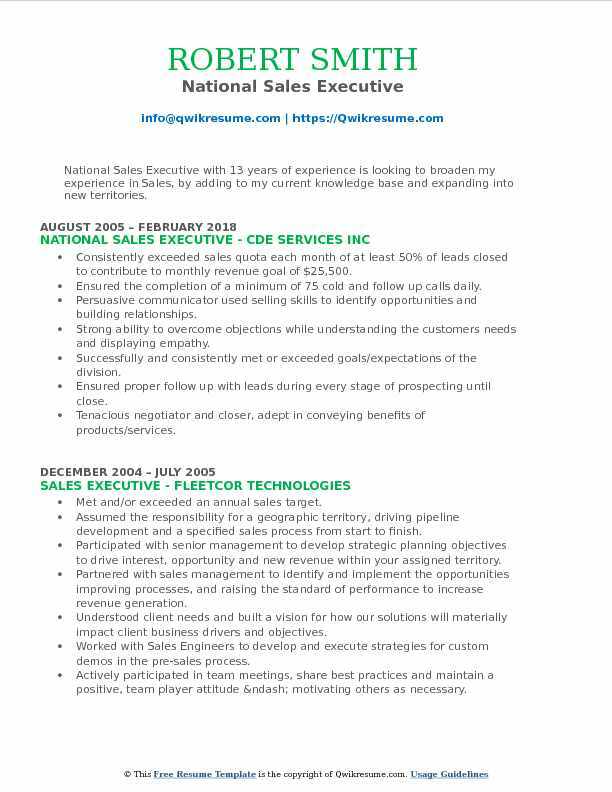 Summary : Independent National Sales Executive bringing eight-plus years of both indoor and outdoor sales experience. Strong interpersonal, analytical, management, follow-up, and communication skills. Very motivated sales professional with years of decorated sales experience who consistently produced high revenue streams for national manufacturers in the healthcare and hospitality industry. Self-starter with consistent client growth over eight years - proficient in Excel, Word, PowerPoint and Email correspondence. National business contact list with years of business relationships. Expanded account base from less than ten small government hospitals to more than 60 accounts including national. Managed a VA health care system as a distributor bringing in between 200 thousand and 500 thousand dollars in sales per quarter for two years against nationally branded companies such as Medline and Standard textiles. Successfully introduced new medical textiles to hospitals that replaced former products and helped increase patient. Successfully closed a national committee proposal for the VA medical center in Bay Pines Florida for the procurement of a new product line with an initial cost of over $150,000 worth of new products. The new policy implemented the reusable product line over a previous disposable line that had been in place for nearly 30 years. Maintaining preferred supplier status with highly competitive government healthcare accounts. Contacting new and existing customers to discuss how their needs could be met with specific products and services. Maintaining the detailed account records and contact logs using sales force. Summary : Highly motivated and competitive National Sales Executive I with 13 plus years of experience in sales and marketing. Detail-oriented and comprehensive knowledge of sales techniques and strategies in over 50 print and online business publications with a persistent track record of sales accomplishments. Currently seeking a challenging, competitive and fast-paced work environment for opportunities for career advancement. Sales experience for more than 50 print/online national business publications. Duties include communicating benefits of ACBJ products, assisting in subscription renewal processes, overcoming objectives when speaking with clients. Constructing and maintaining customer databases, meeting weekly and monthly sales quotas. Competent in persuasive sales methods and negotiation by conveying product advantages and or services for individual business needs. Supporting the customer with technical website function difficulties and troubleshoot a resolution. The Company accredited top performer with a proven and consistent track record. Generated almost $280,000 in revenue for 2017 with a median sale price of $90.00. Exceeded new business sales goal by 246 percent in 2017 solely for ACBJ products. Awarded salesperson of the month three times during the 2017 calendar year. An accomplished member of agent council (duties include planning and executing ideas to improve office function). Summary : Dedicated, seasoned, and versatile professional with accomplishment-laden experience in driving revenue beyond established goals and expectations. Possess unmatched work ethic and organizational skills in effectively managing priorities and tasks under competitive and fast-paced settings. Polished communicator, equipped with naturally personable attitude essential in interfacing with a diverse range of individuals and delivering outstanding results. Achieving the revenue growth through new customer acquisition via proven prospecting techniques such as cold calling, networking, social media, and referrals. Identifying and communicating the solutions to clients and prospects that will generate sales calls with key decision makers. Building meaningful relationships with VP-level decision makers through an approach that leverages needs-based selling and clear articulation of the Valassis value proposition. Leveraging the strong time management skills to ensure timely execution of customer and Valassis deliverables. Effectively working through internal processes with partner groups to ensure the execution of client advertising campaigns from start to finish. Daily utilization of CRM tools and processes, including salesforce.com and its components in support of sales process optimization. Leveraging previous client relationships to acquire new customers across multiple industries. 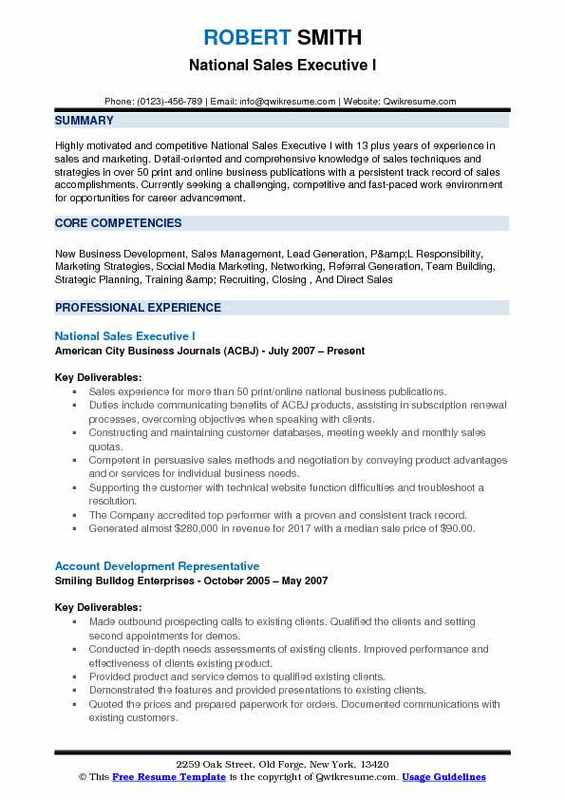 Summary : A highly ambitious and client-focused business professional with business management and marketing skills in outside and inside sales, customer service, relationship building, sales presentations, lead management, strategic sales and retail management. Dedicated, with a passion for delivering excellent service while exceeding customer expectations. 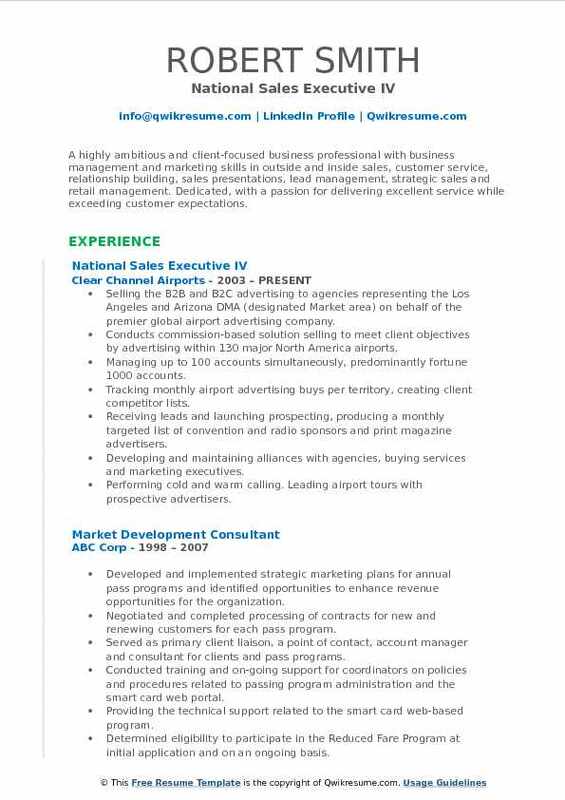 Selling the B2B and B2C advertising to agencies representing the Los Angeles and Arizona DMA (designated Market area) on behalf of the premier global airport advertising company. Conducts commission-based solution selling to meet client objectives by advertising within 130 major North America airports. Managing up to 100 accounts simultaneously, predominantly fortune 1000 accounts. Tracking monthly airport advertising buys per territory, creating client competitor lists. Receiving leads and launching prospecting, producing a monthly targeted list of convention and radio sponsors and print magazine advertisers. Developing and maintaining alliances with agencies, buying services and marketing executives. Performing cold and warm calling. Leading airport tours with prospective advertisers. Securing the account renewals. Preparing custom client proposals backed by effective media and sales strategies. Selling confidential airport marketing campaigns, negotiating contracts and budgets. Overseeing the vendor production and installation of backlight displays, wraps and clings, banner advertisements, digital displays and exhibits. Consistently exceeding the annual sales goals. 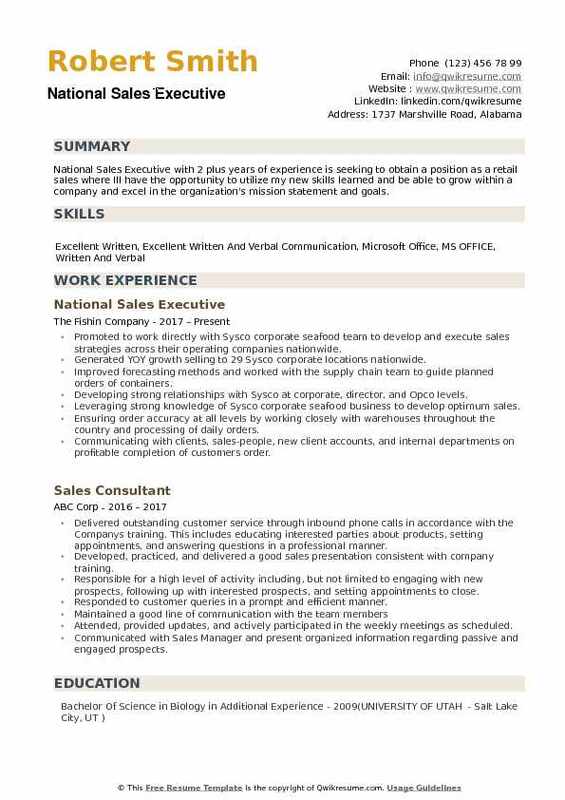 Objective : Junior National Sales Executive with 3 plus years of experience is seeking to obtain a full-time position in customer service, collections, call centers, telemarketing, and sales or related fields that provide a challenge, increasing responsibility, and opportunity for growth and advancement for my employer and myself. Ability to problem solve, skip trace, multi-task, complete deadlines, projects and quotas in a timely manner. 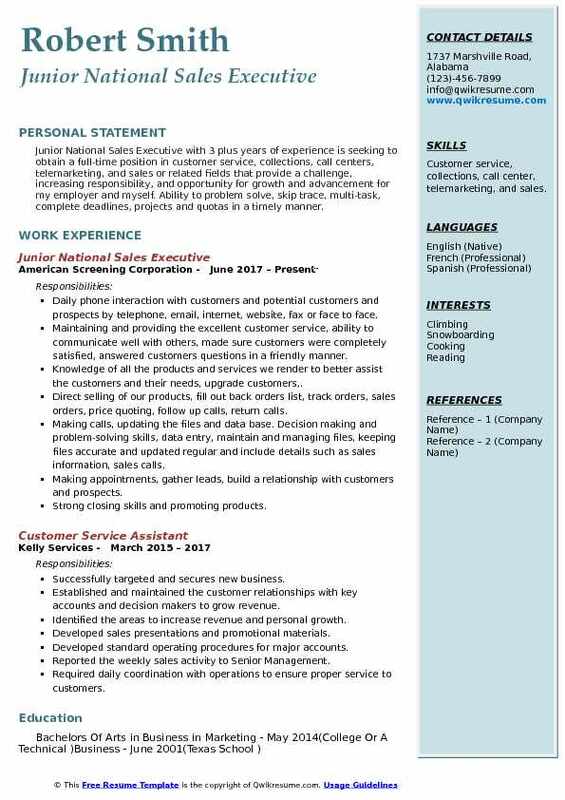 Skills : Customer service, collections, call center, telemarketing, and sales. Daily phone interaction with customers and potential customers and prospects by telephone, email, internet, website, fax or face to face. Maintaining and providing the excellent customer service, ability to communicate well with others, made sure customers were completely satisfied, answered customers questions in a friendly manner. Knowledge of all the products and services we render to better assist the customers and their needs, upgrade customers,. Direct selling of our products, fill out back orders list, track orders, sales orders, price quoting, follow up calls, return calls. Making calls, updating the files and data base. Decision making and problem-solving skills, data entry, maintain and managing files, keeping files accurate and updated regular and include details such as sales information, sales calls. Making appointments, gather leads, build a relationship with customers and prospects. Strong closing skills and promoting products. Attending all sales meetings and training seminars. Meeting all sales goals, budgets, quotas and deadlines in a timely. Summary : National Sales Executive with 21 years of experience in the Healthcare domain is seeking a career in business development, lead generation, inside sales, management or assistant management position in sales related or marketing field. Skills : Contact Management, ACT, Pivotal, Sales Outlook, Sales Nexus and SalesForce.com. Highly Experienced In CRM Database. Responsible for lead generation development through cold call prospecting for Empathia's group of diverse service-based offerings including employee assistance programs benefits, work/life benefits, wellness services, disaster management services, leadership coaching and topical training services. Territorial focus on California market and national companies that have a strong employee base in California. Charged with the task of lead generation for Empathia's Westlake Village, California branch that specifically holds Knox keene licensure and increasing the number of lives under that license. Responsible for marketing focus consisting of fortune 500 companies as well as companies with 5,000 to 500,000+ employees. Responsible for creating and maintaining an increasing pipeline of qualified prospects derived from cold calls, personal leads, mailings/business lists, web leads and existing client referrals for Empathia's sales representatives. 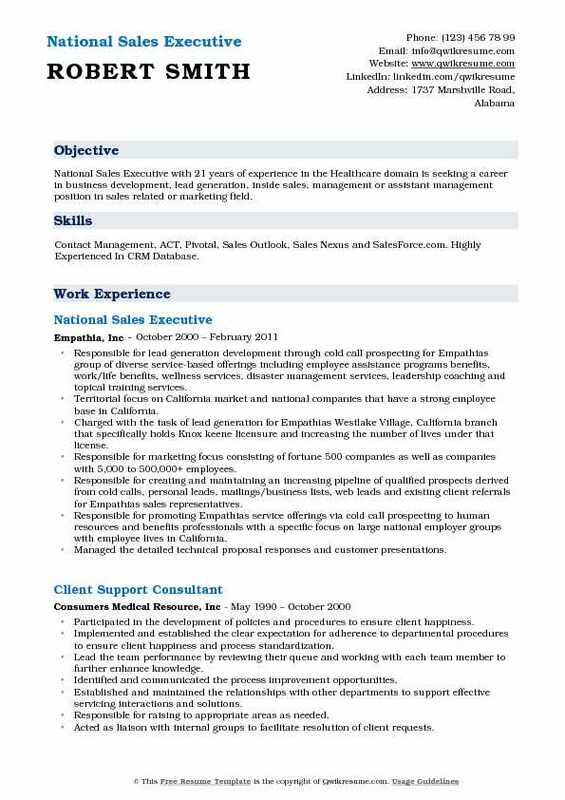 Responsible for promoting Empathia's service offerings via cold call prospecting to human resources and benefits professionals with a specific focus on large national employer groups with employee lives in California. Managed the detailed technical proposal responses and customer presentations. 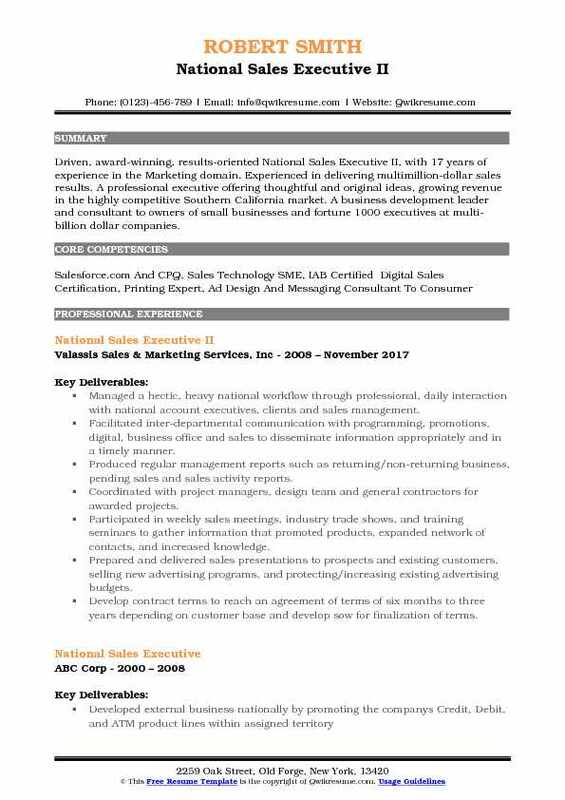 Summary : National Sales Executive with 13 years of experience is looking to broaden my experience in Sales, by adding to my current knowledge base and expanding into new territories. 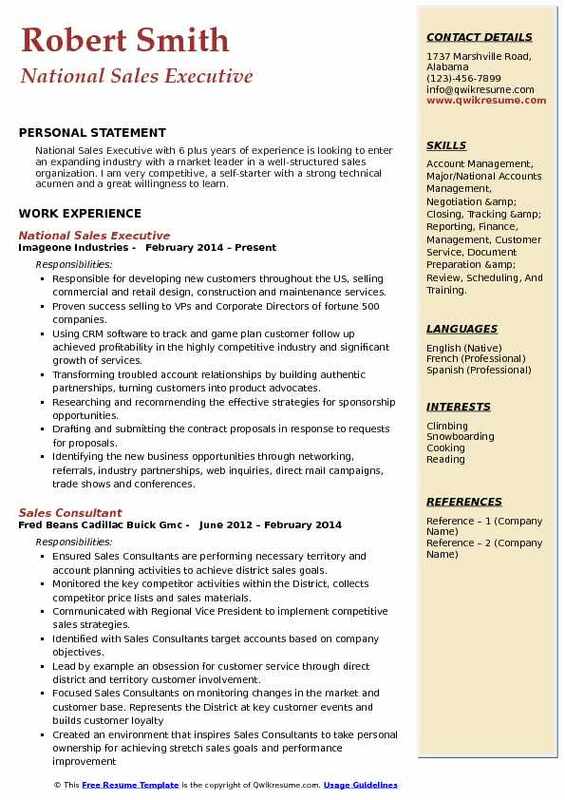 Skills : Innate Leadership, Salesforce, Natural Sales, CRM+, Computer Literacy, Lead Generation And Lead Nurturing, Accuracy Oriented, Multi-Tasking, Team Lead, Experience Task Delegation, Full Cycle Recruitment Capabilities, Great Interpersonal, Excellent Communication, Tedious Attention To Detail. Consistently exceeded sales quota each month of at least 50% of leads closed to contribute to monthly revenue goal of $25,500. Ensured the completion of a minimum of 75 cold and follow up calls daily. Persuasive communicator used selling skills to identify opportunities and building relationships. Strong ability to overcome objections while understanding the customers' needs and displaying empathy. Successfully and consistently met or exceeded goals/expectations of the division. Ensured proper follow up with leads during every stage of prospecting until close. Tenacious negotiator and closer, adept in conveying benefits of products/services. Managed the entire sales process from prospecting, through project managing the completion of the project to ensure perpetual business. Primary point of contact for customers, responding to all issues ensuring they are addressed promptly and resolved to the customers' satisfaction. Proven ability to demonstrate the importance of cost savings programs available to customers. Summary : Driven, award-winning, results-oriented National Sales Executive II, with 17 years of experience in the Marketing domain. Experienced in delivering multimillion-dollar sales results. A professional executive offering thoughtful and original ideas, growing revenue in the highly competitive Southern California market. A business development leader and consultant to owners of small businesses and fortune 1000 executives at multi-billion dollar companies. Managed a hectic, heavy national workflow through professional, daily interaction with national account executives, clients and sales management. Facilitated inter-departmental communication with programming, promotions, digital, business office and sales to disseminate information appropriately and in a timely manner. Produced regular management reports such as returning/non-returning business, pending sales and sales activity reports. Coordinated with project managers, design team and general contractors for awarded projects. Participated in weekly sales meetings, industry trade shows, and training seminars to gather information that promoted products, expanded network of contacts, and increased knowledge. Prepared and delivered sales presentations to prospects and existing customers, selling new advertising programs, and protecting/increasing existing advertising budgets. Develop contract terms to reach an agreement of terms of six months to three years depending on customer base and develop sow for finalization of terms. Headline : National Sales Executive with 6 plus years of experience is looking to enter an expanding industry with a market leader in a well-structured sales organization. I am very competitive, a self-starter with a strong technical acumen and a great willingness to learn. Skills : Account Management, Major/National Accounts Management, Negotiation & Closing, Tracking & Reporting, Finance, Management, Customer Service, Document Preparation & Review, Scheduling, And Training. Responsible for developing new customers throughout the US, selling commercial and retail design, construction and maintenance services. Proven success selling to VPs and Corporate Directors of fortune 500 companies. Using CRM software to track and game plan customer follow up achieved profitability in the highly competitive industry and significant growth of services. Transforming troubled account relationships by building authentic partnerships, turning customers into product advocates. Researching and recommending the effective strategies for sponsorship opportunities. Drafting and submitting the contract proposals in response to requests for proposals. Identifying the new business opportunities through networking, referrals, industry partnerships, web inquiries, direct mail campaigns, trade shows and conferences. Creating sales proposals, and power point presentations to present to clients in person and over the phone. 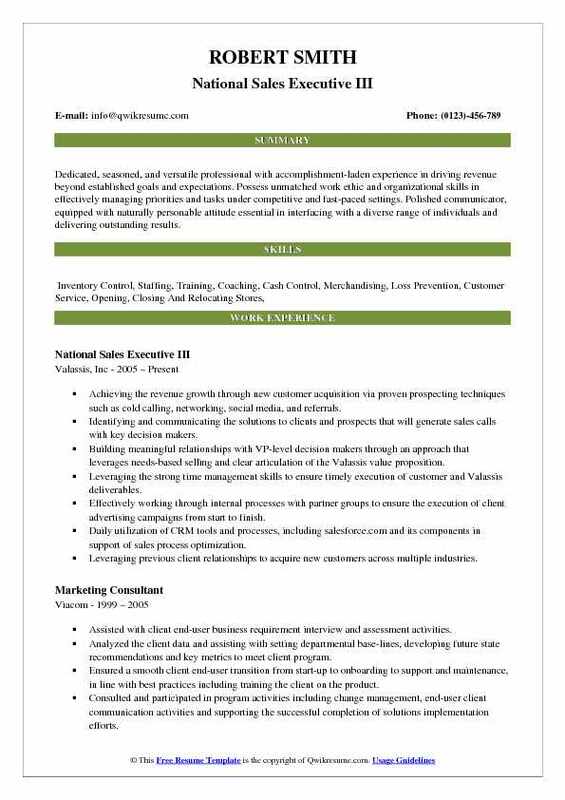 Objective : National Sales Executive with 2 plus years of experience is seeking to obtain a position as a retail sales where Ill have the opportunity to utilize my new skills learned and be able to grow within a company and excel in the organization's mission statement and goals. Promoted to work directly with Sysco corporate seafood team to develop and execute sales strategies across their operating companies nationwide. Generated YOY growth selling to 29 Sysco corporate locations nationwide. Improved forecasting methods and worked with the supply chain team to guide planned orders of containers. Developing strong relationships with Sysco at corporate, director, and Opco levels. Leveraging strong knowledge of Sysco corporate seafood business to develop optimum sales. Ensuring order accuracy at all levels by working closely with warehouses throughout the country and processing of daily orders. Communicating with clients, sales-people, new client accounts, and internal departments on profitable completion of customers order. Developing the territory plans with current referral partners and execute on that plan.